To enable certain features and improve your experience with us, this site requires cookies to be stored on your computer. Please check the box and click Continue to provide your authorization and permanently remove this message. To find out more about the cookies we use, please see our privacy notice. The most effective CAEs position their internal audit departments to add value and inspire business improvement by maximizing the productivity and contribution of their internal audit colleagues. But how do they set goals that inspire auditors to deliver insights that matter? Boost productivity with appropriate rewards? Address differences between generations? 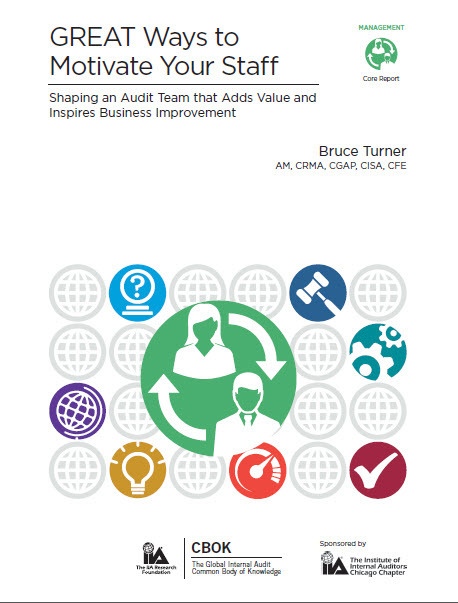 This report provides GREAT insights on how CAEs and other audit leaders can improve their practices for evaluating and motivating internal auditors. You will learn strategies for goal setting, retaining talent, equipping employees, assessing performance, and treating success. Findings are based on the CBOK 2015 Global Internal Audit Practitioner Survey, the largest ongoing survey of internal auditors in the world. By submitting this request, I give The IIA permission to contact me with requested information and offers. I may opt out at any time.